 At Chabad we don't pray with labels or levels. Every one talks to G‑d on their level and in their language and pace. The service are led in the ancient traditional manner but are tailored to the individual's needs. Followed always by a scrumptious Kiddush.